Searching an affordable rental unit is not an easy task as there is high demand and low supply of affordable rental apartments. Hunting for an affordable apartment requires time, efforts, and a well-devised strategy. The home searcher should first determine their affordability, compare several rental units in different areas and their amenities, and rental costs. Following is a list of 3 questions that an individual should ask themselves to know if they are well-prepared for their house search process. Question 1: Have I considered all low rental options? Housing Choice Vouchers – This program is also known as Section 8 Housing program. It allows low-income families to rent decent housing units with the financial assistance provided by the US Department of Housing and Urban Development (HUD). Complete information about eligibility, application process, and rent subsidy is available at HUD website. Rural Rental Assistance – This program provides financial assistance to low-income families, elderly, and individuals with disability living in multi-unit housing complexes in rural areas to make sure that they are able to make rent payments. Low-rent Apartment Search – The US Department of Housing and Urban Development also assists people in finding a low-rent housing unit in their state. 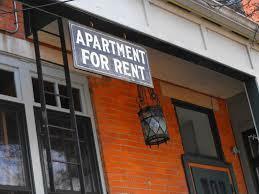 Individuals looking for a low-rent apartment can visit the official website and conduct a state-based property search. Question 2 – Do I understand the application process? To apply for subsidized renting, it is important that you understand the application process and know how much it normally takes to get a rental unit under a particular program. Almost all public housing and subsidized renting programs require the candidate to fill out an application form. The applications are processed on first come, first served basis. However, preference is given to elderly, victims of any kind of abuse, and people with disability. Question 3 – Do I know the factors that may result in denial of my housing application? Every year thousands of individuals apply for subsidized rental units but only few of them succeed in finding an affordable apartment. There are two primary reasons behind this – gap in demand and supply of subsidized rental units and lack of knowledge of factors that can lead to denial of rental assistance application. Negative feedback from former landlords. History of causing disruption in the neighborhood or destructing the property. Potential of acting in such ways that can affect the health, safety, or wellbeing of neighbors, and/or cause damage to the property. History of committing fraud in any federal housing assistance program. History of abusing in such a way that may interfere with the health, safety, or ability to enjoy of others. When renting an affordable apartment, it is important that you do your homework to know how much you can afford to spend on your new home. To know what other things you should consider when renting an apartment, keep reading Housing Apartments’ resources section.